Word Town Daily Puzzle October 10 2018 Answers – Welcome to Word Town ! Let’s start by swiping from left to right, down or backward to make words and find the correct word ! Find words with Coin Letters to get coin rewards! Remember, the coin letter rewards will disappear when restart the level. Also find extra words to get more bonus. 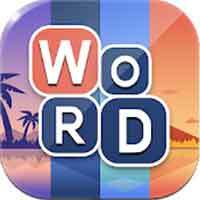 word town 10/10/2018 Word Town: Search, find & crush in crossword games by HI STUDIO LIMITED available on iPhone, iPad, iPod Touch, Android devices.